Wow, what a fantastic first two months of Ibbleobble! Five apps and one bundle have been launched and being downloaded on iPhones and iPads all over the world… and we’re not stopping there. 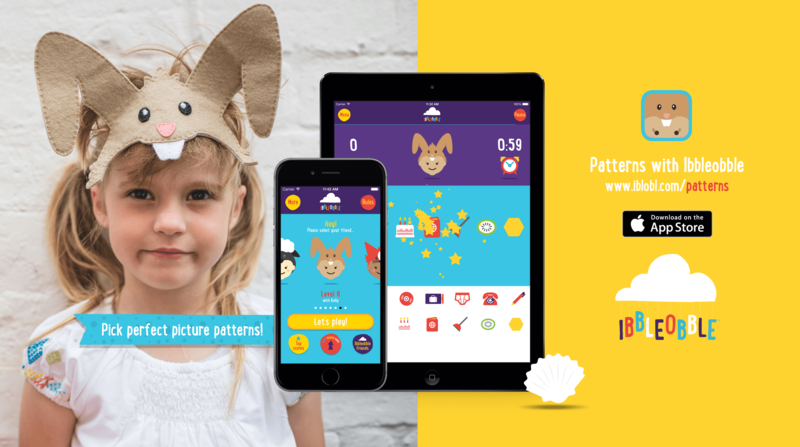 Please welcome Kelly the Rabbit’s app Patterns with Ibbleobble! 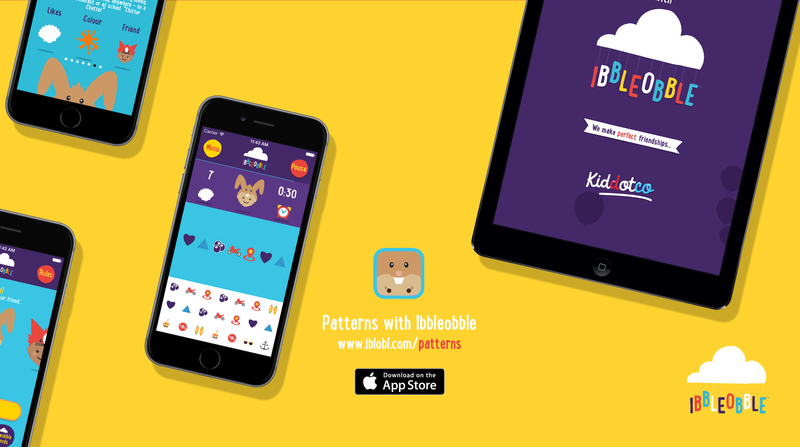 Patterns with Ibbleobble is an exciting method of helping children of all ages to learn patterns. This app will help them to understand repetition and familiarity, allowing them to recognise order and make predictions. The first five apps have received such amazing feedback; here is what a customer had to say about Division with Ibbleobble: “I love division for kids because it can be based all around sharing. Ibbleobble really has a great ethos and work around friendships and children being great to themselves and to each other. As always the apps from Ibbleobble are clean, crisp and well designed!” Hopefully by now you’ll know this bit, but just in case… By joining their new friends in Ibbleobble, each child can choose a cute character companion who will guide them along their journey of learning. Each character represents a different level of difficulty: Mr. Mousey shows beginners the way, whilst Florence the Fox is there to guide more advanced learners. At Ibbleobble, we understand that everyone’s different, so our app allows young learners to progress at their own pace, or take a challenge against the clock! The friendly, easy-to-use interface presents a range of simplistic sequence of images on-screen, allowing children to choose answers from a multiple-choice list. To recognise their hard work and achievement, children will collect one of their character’s favourite objects as a reward. Whether it’s cheese for Mr. Mousey, or chocolate coins for Lola the Chicken, the more they achieve, the happier their companion will be! 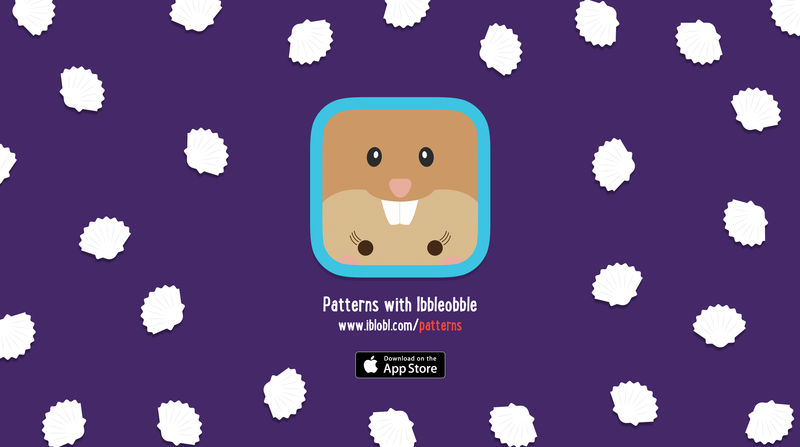 You can download Patterns with Ibbleobble here. Please ‘Like’ our Facebook page, follow us on Twitter and Instagram or visit our website for more info. Florence the Fox is brining ANOTHER exciting app soon too!